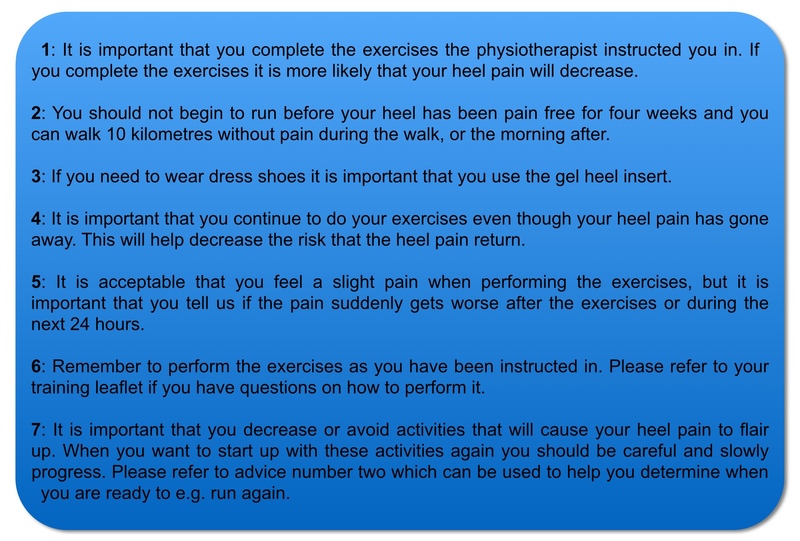 Heel Pain – plantar fasciitis or plantar fasciopathy, how to treat? – Pain. Health. Exercise. Heel Pain – plantar fasciitis or plantar fasciopathy, how to treat? Here at The Sole Clinic, we see a fair share of people for heel pain. Most people with heel pain suffer from this condition Plantar Fasciitis, which mean inflammation of the plantar fascia at the sole of the foot. However, not all painful heels have ongoing long-term inflammation, hence it’s now commonly termed as plantar fasciopathy or fasciosis. However, most still stick with the term plantar fasciitis for convenience sake. There are plenty of different factors that lead on to plantar fasciitis that need to be taken into consideration. It is a condition that can affect both the high level athlete and the sedentary housewife, but the underlying causes could be very different. It is also highly associated with people with both high (pes cavus) and low foot arches (pes planus). Here again, the underlying mechanisms on why it causes pain in both the high and low foot arches are very different. Therefore, plantar fasciitis is not an easy condition to treat effectively. In fact, the best clinical reseach evidence suggest that plantar fascia stretching and using shoe inserts are only effective for 60% of the population. 40% of them continue to have symptoms and pain 2 years after diagnosis. More effective treatment are warranted! There was follow up to ensure that the exercises were performed correctly for both groups. The significant finding in this study is that Group A (high load strength training) performed significantly better at 3 months follow-up than Group B (control group) in terms of pain and function as measured by Foot Function Index, a self-reported questionnaire that is valid and reliable to determine clinical changes in foot pain and function. However, Group B (control group) did sufficiently well eventually (slowly but surely) and both groups did equally well at the end of 12 months. How compliant were the subjects? Compliance is usually a problem as most people tend to reduce/stop their exercises after experiencing significant improvements. Therefore, the final outcome may not be an accurate representation of their final pain and function score if every subject were to be 100% compliant. What can we do for those who fail treatment? Research suggest that after a trial of failed conservative therapy, Shock Wave Therapy should be considered. Why didn’t the researcher control for people with different foot arch heights? This is definitely a great new way to rehabilitate plantar fasciitis because it seems that the time taken to reduce the pain and improve one’s function is so much quicker! I will definitely consider this intervention for all those who fit the bill. However, I will prefer a multi-prong approach. This approach includes assessment of the foot arches and also consider the rest of the lower limb musculature that will affect pronation. As the current understanding behind the mechanisms behind plantar fasciitis pain is different for those with high and low foot arches, insole prescription should also be considered in the treatment of plantar fasciitis. I hope that researchers will continue to conduct clinical trials in this area as this is an extremely common and problematic condition that will affect us because we need to walk every day! Next Post I feel no pain.